When Happyskin Cosmetics launched their first batch of products last year, I hoped that they come up with eyebrow makeup too. I think they might have heard my thoughts because fast forward summer of this year, they came up with one! I love how they make me feel so important! Haha, kiddin! 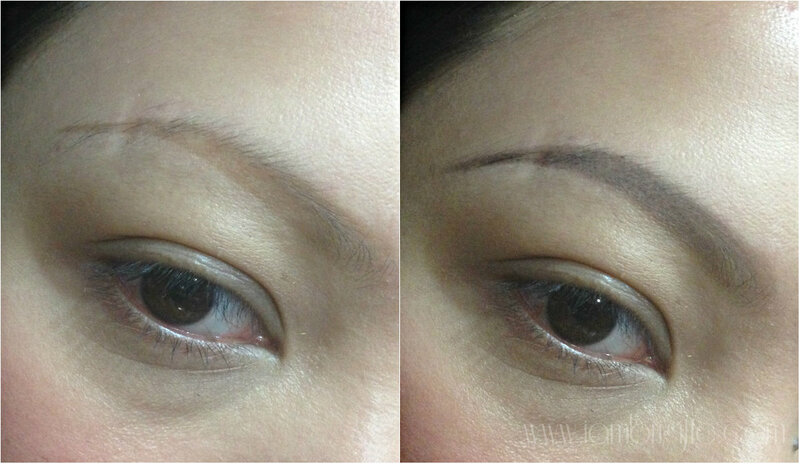 I sure bet they just know that a lot of women nowadays are obsessed with having beautifully drawn eyebrows. 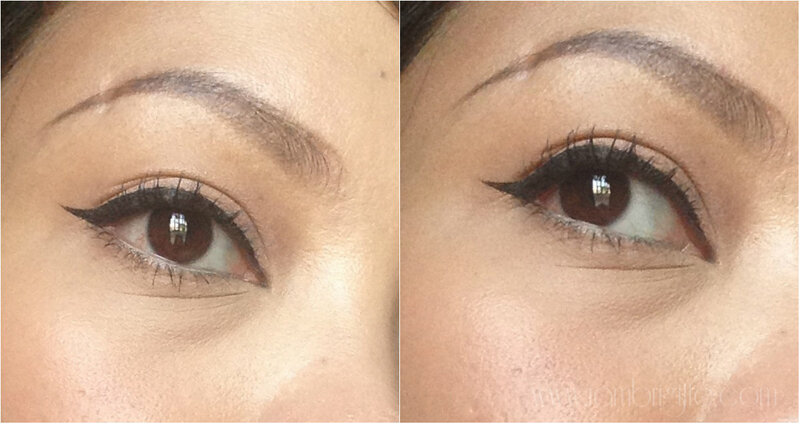 Gone are the days when girls with almost non-existent brows (like me!) will turn to brow tattoos or simply put up with having none. 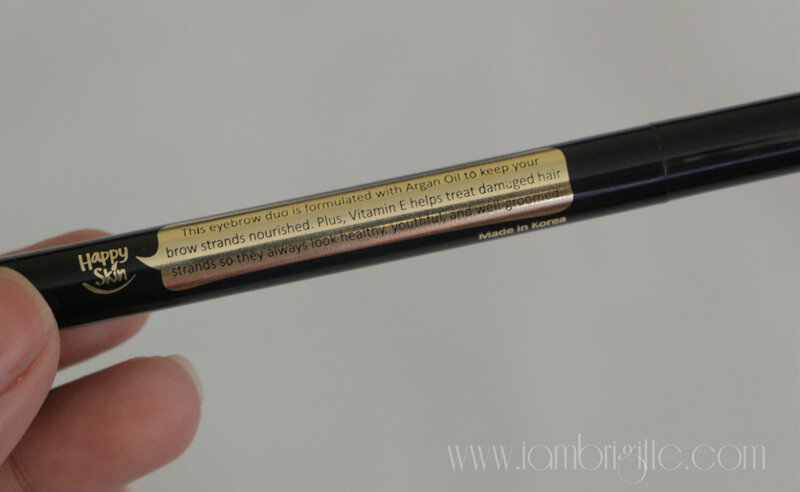 Going back to the brand's eyebrow product, it absolutely surpassed all my expectations! For years now, I've been loyal to K-Palette but this baby simply makes me go astray whenever it's time for me to draw my brows. Don't you just love how this brand give their products a name? 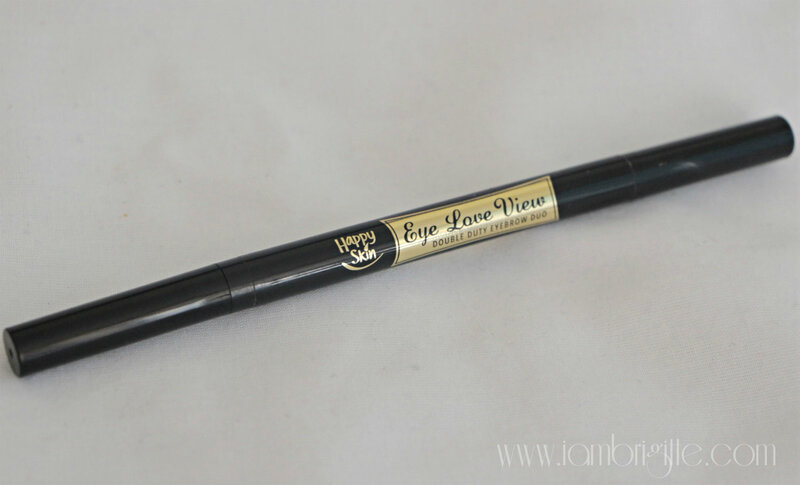 This beauty must-have makes grooming your eyebrows a breeze. With this product, eyebrows look natural—never fake or overdrawn. The fine-tip micro-fibre brush allows you to achieve feathery strokes, professionally mimicking real brow strands. 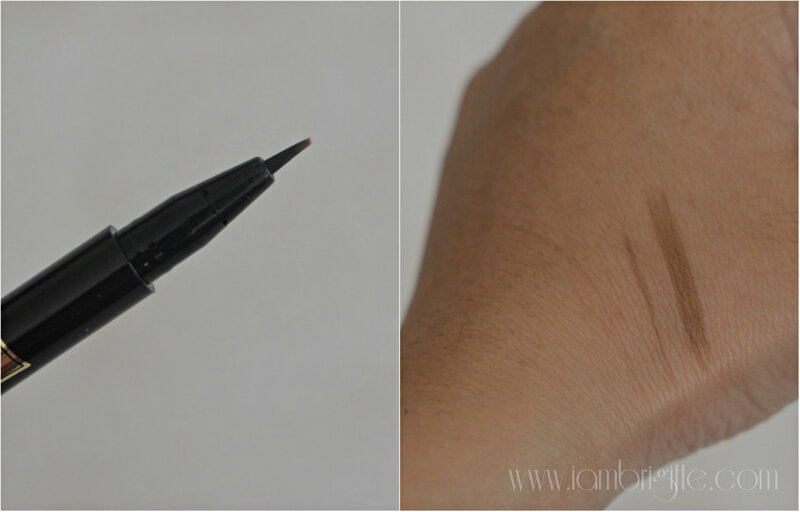 The auto-pencil tip lends brows the most natural hue. Channel the pros with easy-peasy application! 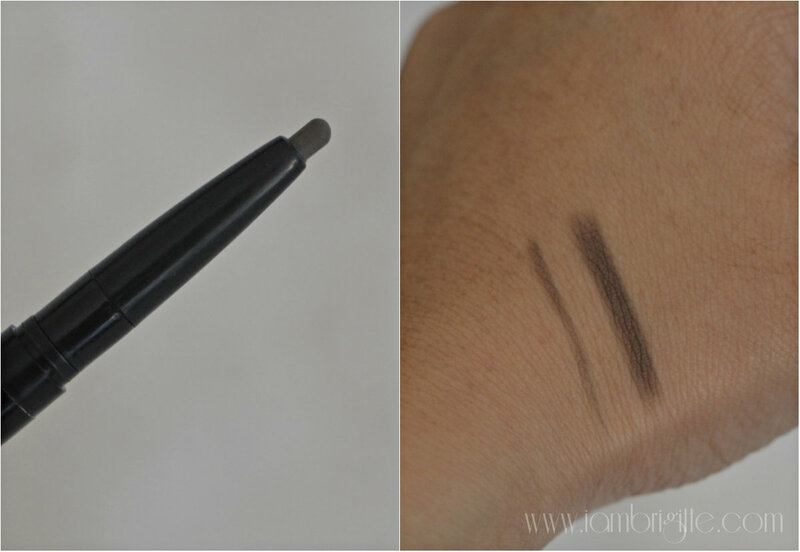 Smudge-proof and water-resistant, it gives you perfect eyebrows for 24 hours. Happy Skin brings makeup to a whole new level, by providing makeup that does not only make you beautiful but also cares for your skin. This eyebrow duo has Argan Oil to keep your brow hairs nourished and Vitamin E to treat damaged brow strands to keep them looking healthy, youthful and well-groomed. 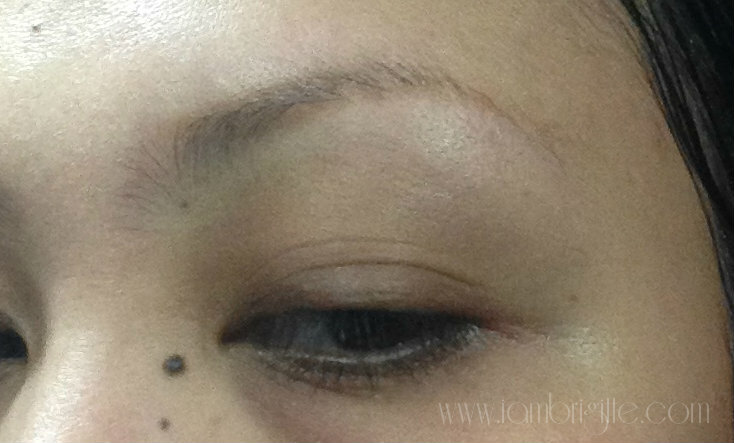 The micro-fiber tip is so fine, drawing your desired brow shape is such a breeze. I like that the pigmentation doesn't come too strong when you first apply it, but you can definitely build up the intensity. 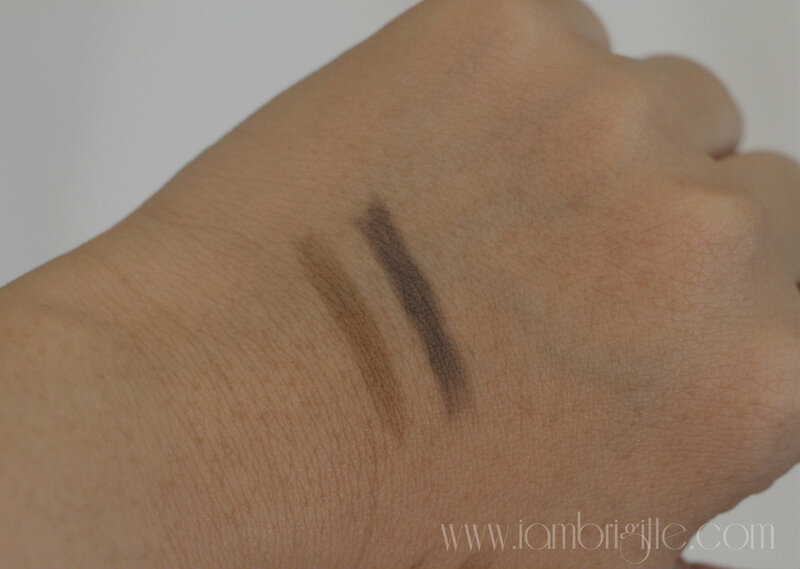 I must admit that when I first swatched it, I was a bit disappointed that it's not the kind of brown that I'd usually look for in a brow pencil. I actually wished they would come up with other shades soon. But then, after finally trying it on my brows, I realized that this shade when blended in with the liquid is just so damn perfect! I forgot to take a photo of the swatches after I've rubbed them again while they were wet. 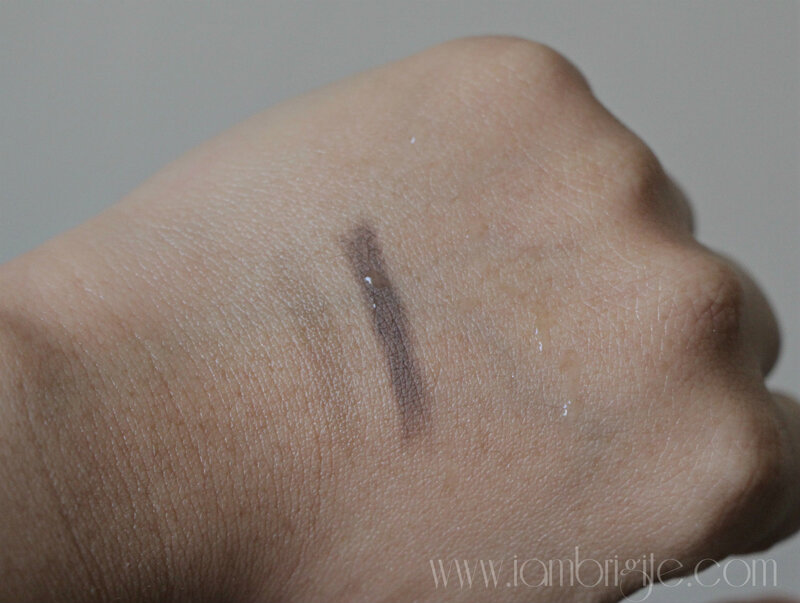 The liquid marker stayed just like the above swatch while the pencil lightened significantly but it's still visible. I brought Eye Love View to our trip in Palawan and my brows still looked presentable even after swimming. I just kept my hands from touching or rubbing my brows! If you'd notice, there's still a bit of tint on my brows in the photo. This is because I've used Eye Love View the day before the photo was taken. It's still there, to think I've already washed my face thrice! The orange-y tint of the liquid when blended with the pencil gives my brows the most natural-looking hue that I haven't achieved yet with any other brow products that I've used. Well, I can have the same natural-looking brows but I would have to use other products like a brow powder and a brow mascara. 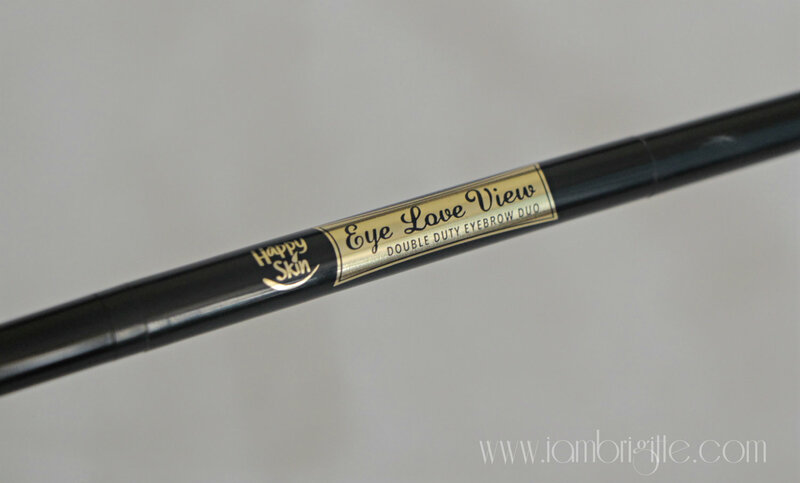 But with Eye Love View, I won't be needing anything else! Oh, except for a spoolie/eyebrow brush! It usually takes 3-4 washes before the tint will be totally gone. If you'd use a good cleansing oil, then it will be sooner. 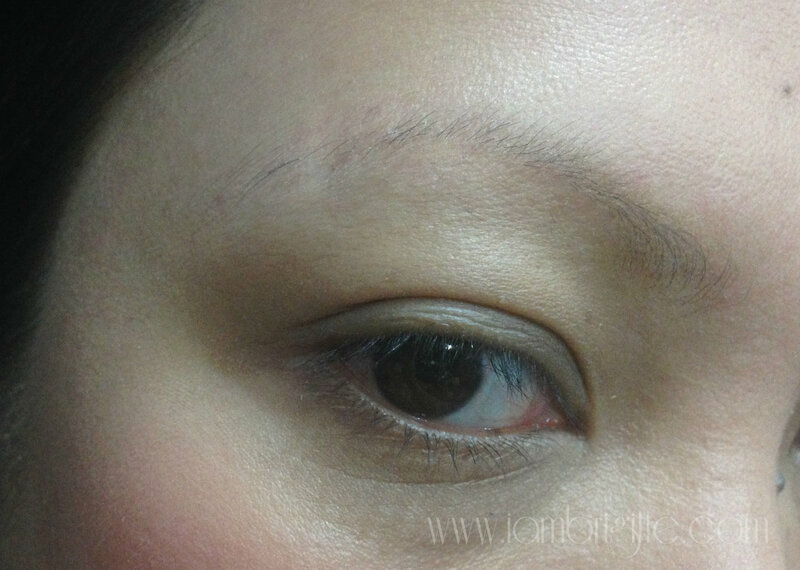 For me, this eyebrow duo from Happy Skin is absolutely perfect! 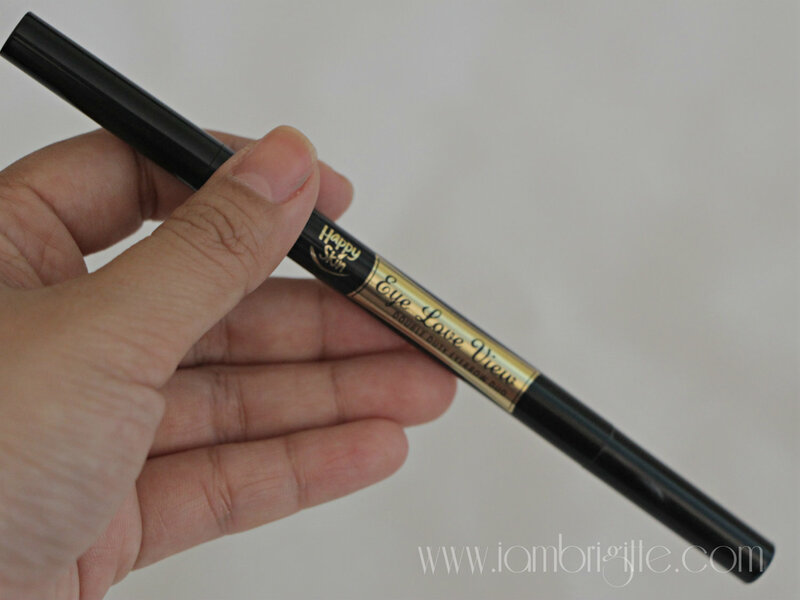 It's easy to use, it gives you natural-looking brows, it's cheaper and it has skin-caring ingredients that will not only make you beautiful but your skin happy. Besides, a happy skin is a beautiful skin! Oh Happy Skin Eye Love View, I love you! Get your Happy Skin products from selected Beauty Bar and Plains and Prints branches. You can also shop online at the HappySkinCosmetics website. Now, would it be too much if I'd wish they come up with a mascara too? A lip/cheek tint? A primer? And how about a loose powder!? (laughs) How about you, is there any products you would want Happy Skin to offer in the future?